March Madness pertains mainly to college basketball when it comes to betting on sports at your favorite online sportsbook. As the month winds down in anticipation of this year’s NCAA Tournament’s Final Four the last Saturday of March, Major League Baseball is looking to steal some of that thunder by staging their MLB Opening Day schedule on the last Thursday of the month; March 29. For the first time in recent memory, all 30 MLB teams will be in action in the regular season before the calendar has turned the page to the month of April. This means that die-hard baseball bettors can get a jump on things at their favorite online betting site. The main thing to keep in mind when it comes to betting MLB moneylines at online books is that not every betting site is created equal. Making money betting on baseball is all about finding the best value in the betting lines. This is the longest regular season of any major sport, so saving money anyway you can on the commission or juice you pay to place your bets is a great way to extend your overall betting bankroll for MLB games. In this scenario, you would have to risk losing $140 on a $100 bet that the favored Red Sox winthis game. If you like the Yankees as road underdogs, your return on a $100 bet would be $120 if they go on to win. In this scenario, the difference between the two numbers reflects the standard 10 percent juice that most books charge for taking any bet. However; the benefit to MLB bettors is the added money they save on betting the favorite or the added money they make by betting on the underdog. A wrong play on Boston as the favorite would only cost you $135 for the same $100 bet. 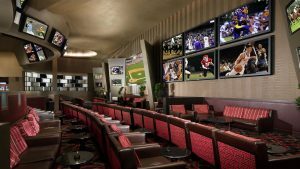 Saving five percent juice on every MLB bet you lose over the course of the season can add up to some serious money if you are an avid baseball better. The same could be said for making an extra five percent on every winning ticket you cash when betting an underdog. If you look hard enough, you might even find an online book offering nickel lines for MLB games that cut their commission to just five percent. This may be part of a special bonus offer or promotion to attract baseball bettors to their site, but as long as it is a legitimate online sportsbook with an acceptable rating, it could increase your savings or earnings even more. While the general betting public will always gravitate towards betting favorites in any sport, the real value in betting MLB games lies in consistently finding underdogs that are poised to pull off the upset. Favorites tend to be overvalued in baseball, especially when it is a high-profile team going with one of their top starting pitchers. The online books know that more money will come in on the favorite in this matchup, which works to add even more value to the underdog . You always need to pick and choose your spots betting on MLB games given the sheer volume of action over the course of the season. Finding an online book with dime lines should be the first step in the process.